I'd love to do quilts, but just can't fit it in! Love the signs on the old barns. Wish I could be creative enough to QUILT. Are these also called Hex Signs? Seems like I used to know the symbolism behind some of these designs….in another life! Great shot. I love old barns. Another interesting post of of quirkiness. 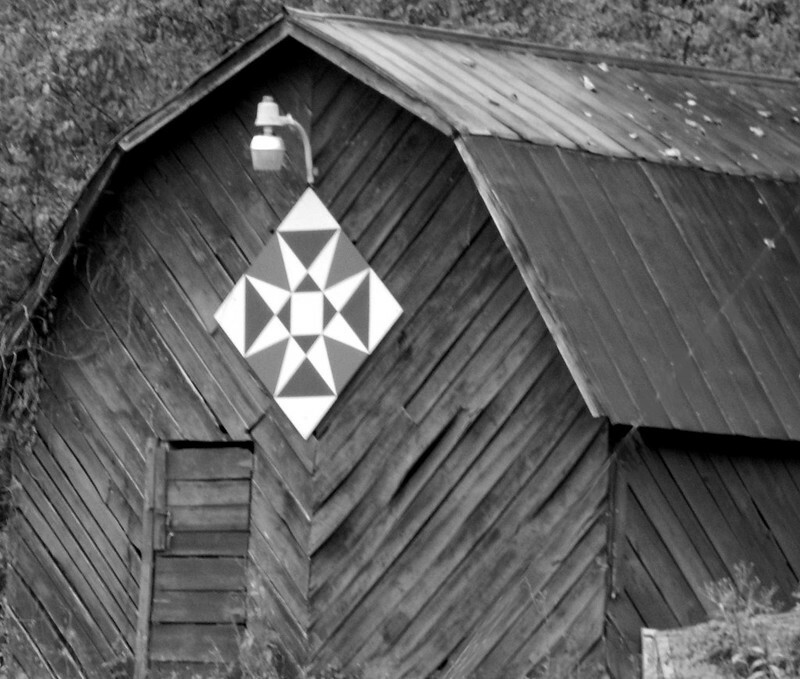 Beautiful black and white photo -- we loved seeing those quilt barns when we spent time in that part of the country. what a great trio of 'q' words, and I love the barn especially that you showed in in b&w! Such a fitting post. Is the barn in NC? So lovable picture for "Q"..! What a great old barn, good spotting! I love BW's. They have their own charm and brings about an intense feel to the snaps. Very neat looking old barn and I really like the quilt signs. Quaint indeed! I love that black and white effect. B & W looks well for the quant old barn.